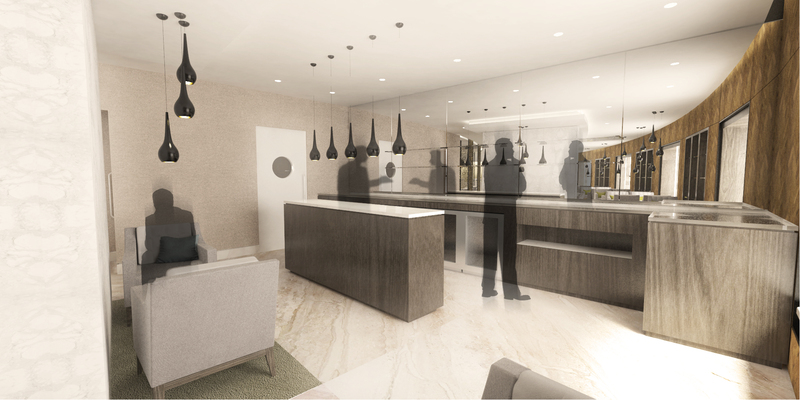 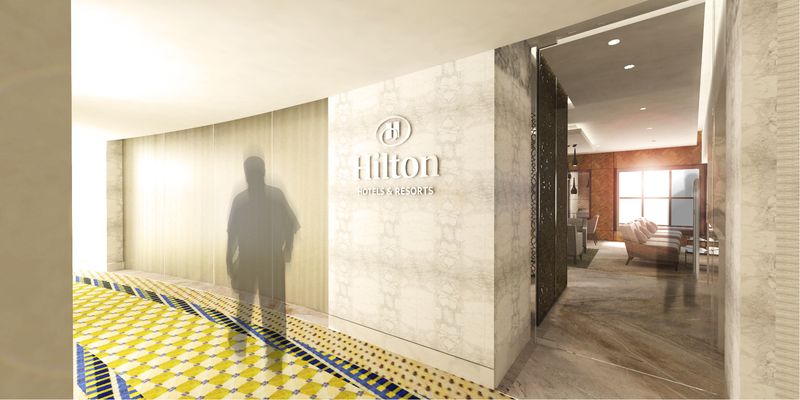 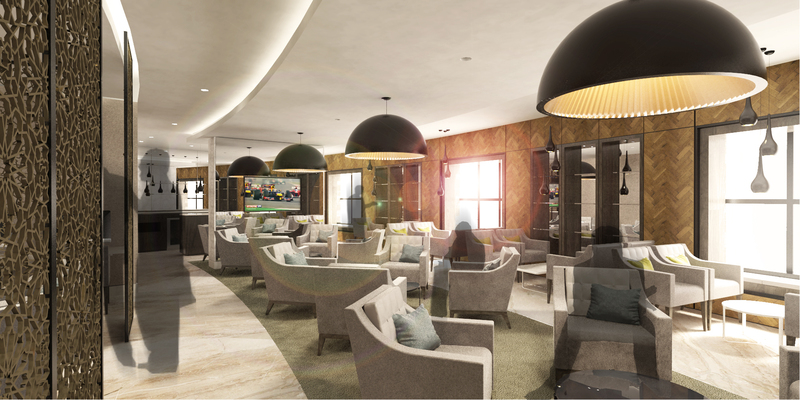 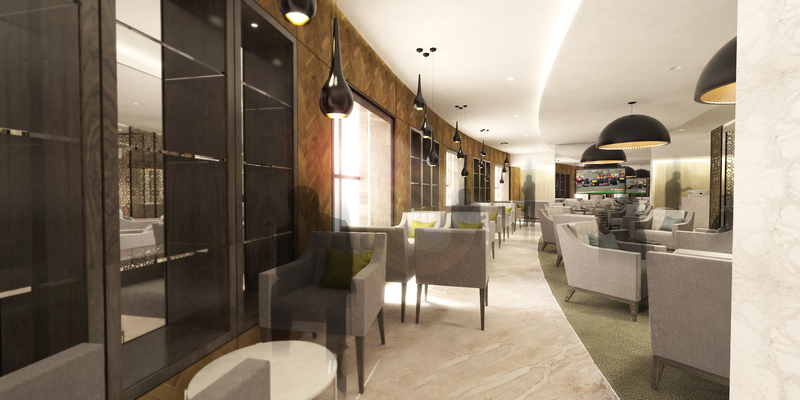 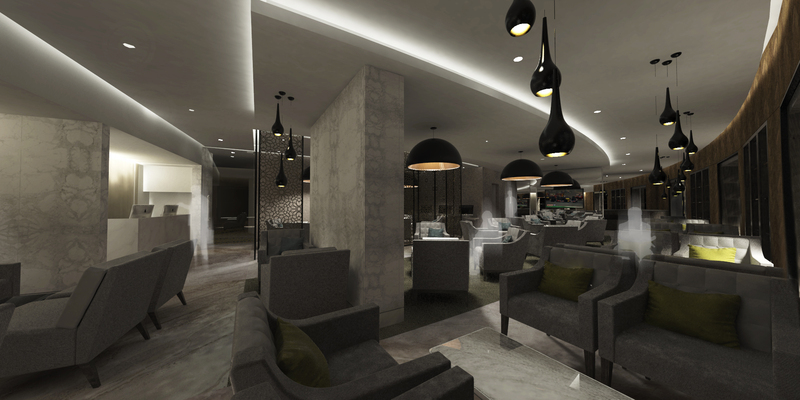 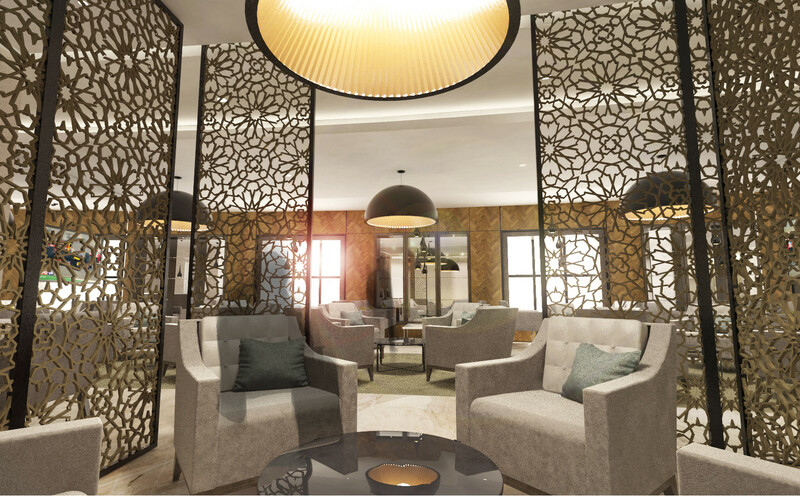 The new executive lounge amalgamates the old lounge with an adjacent guest room to create a larger space for the increasing capacity and needs of the hotel. 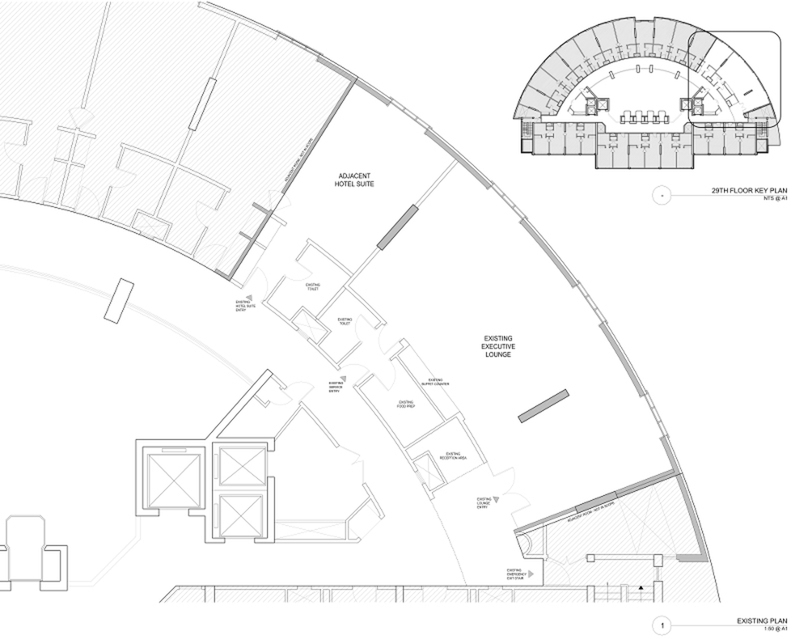 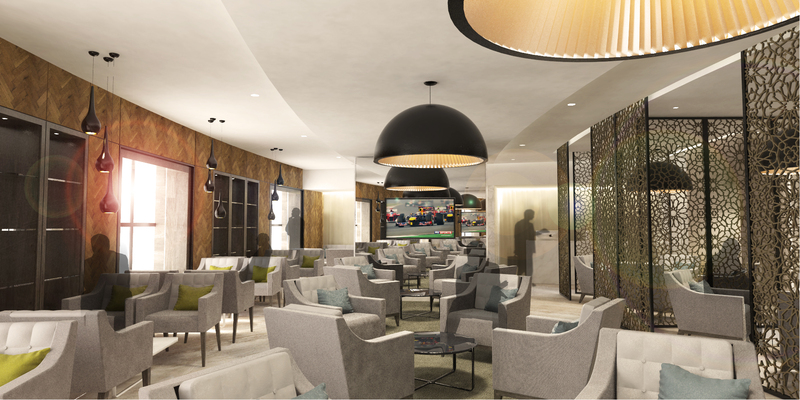 The new lounge takes the radiating nature of the plan to create a variety of seating opportunities. 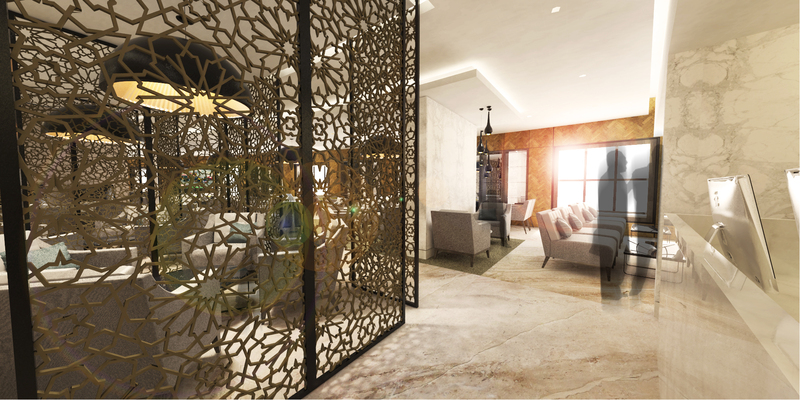 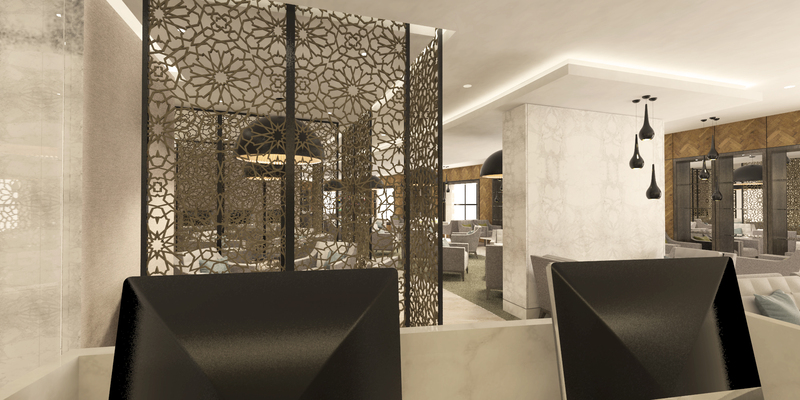 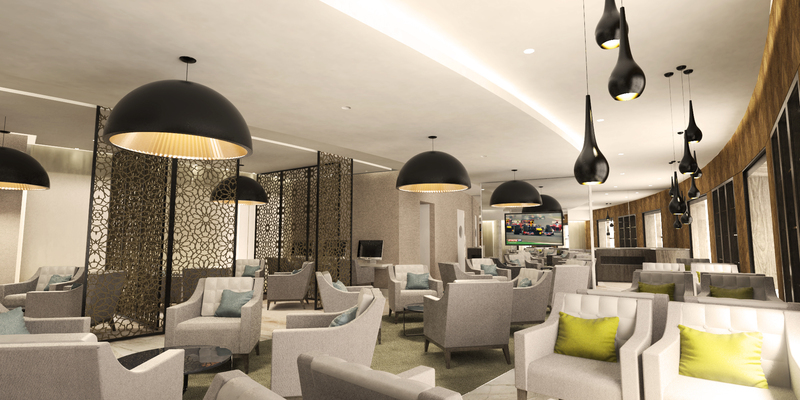 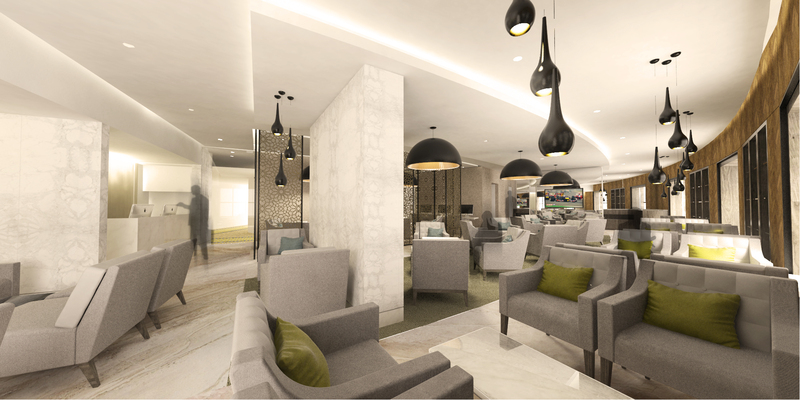 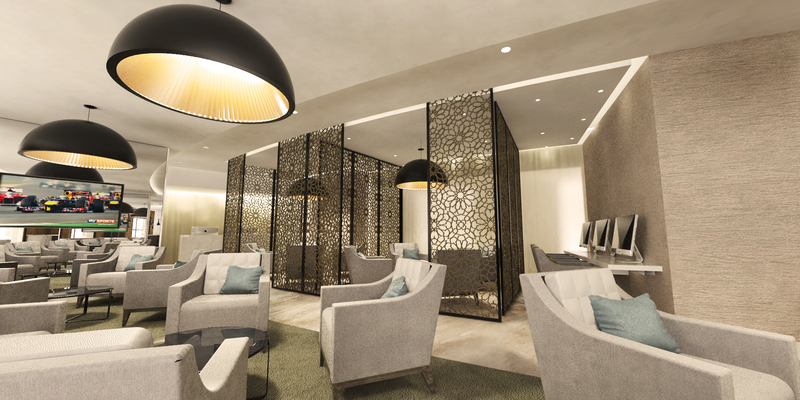 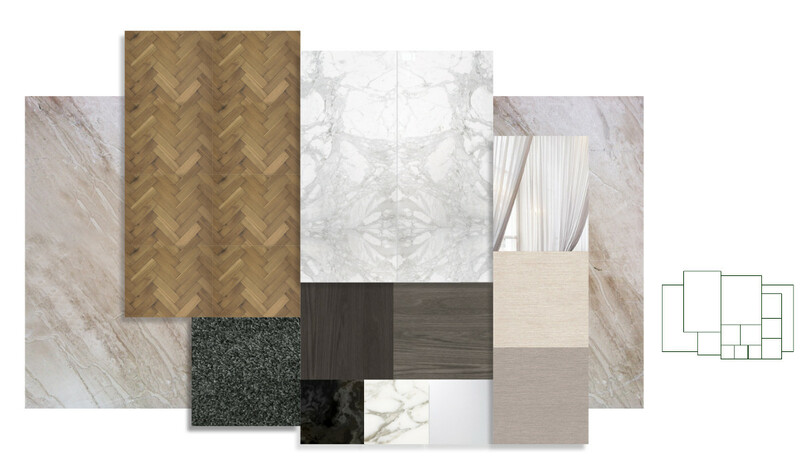 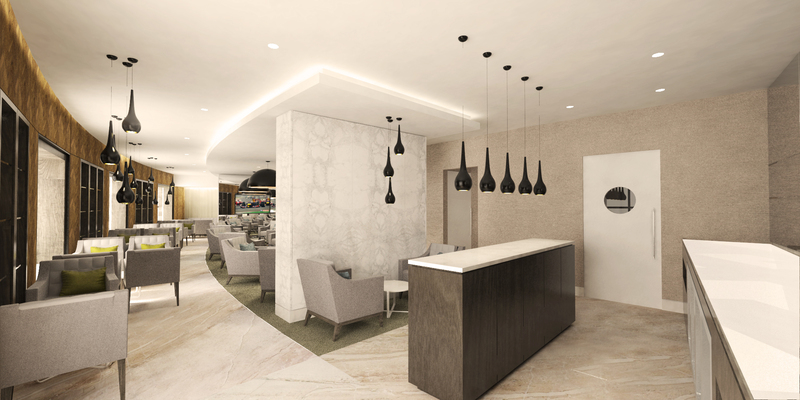 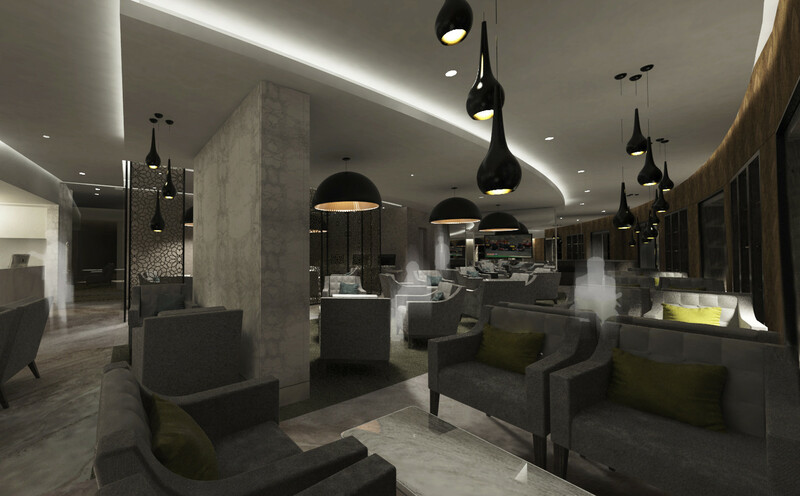 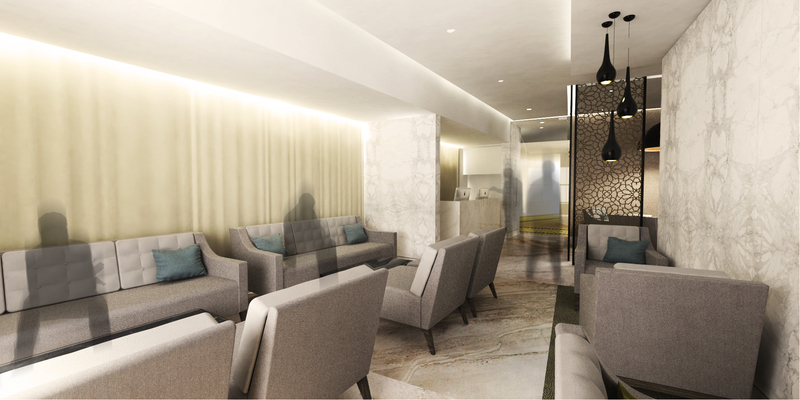 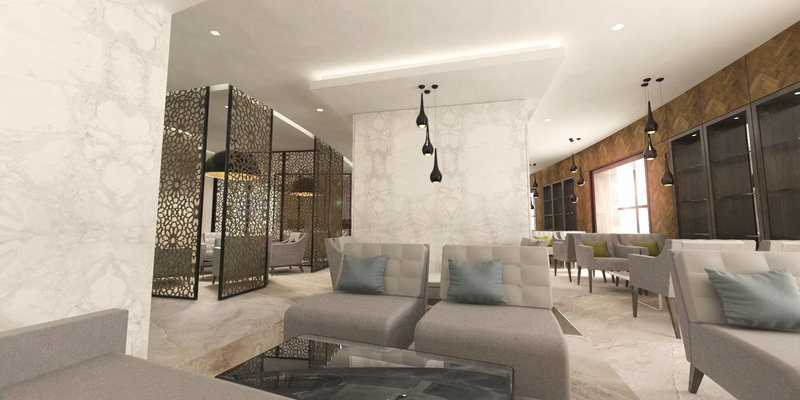 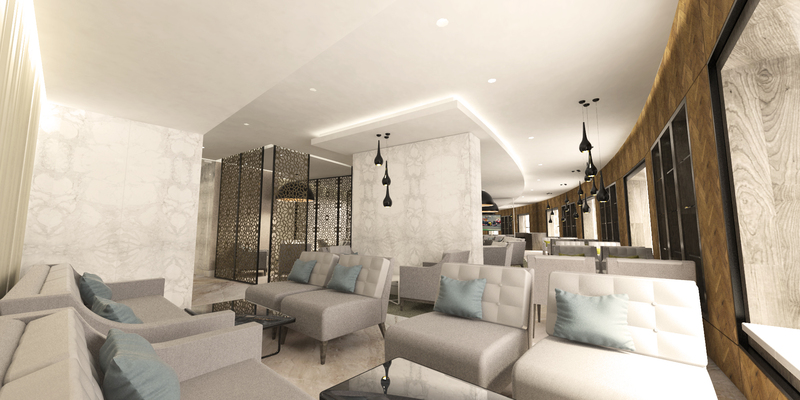 From open window seats, central semi-private lounge areas, screened private areas and corner sofa zones, the refurbished lounge will cater to a variety of needs of its clients. 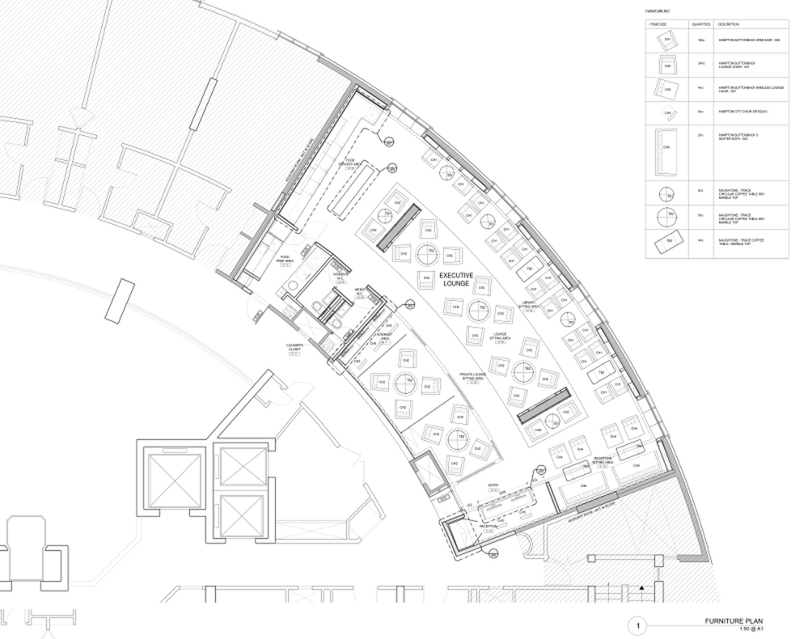 Marble clad flanking walls, frame the central seating area with large dome lights creating a sense of enclosure; CNC cut moveable wood screens create flexible private spaces along the front curved wall; An expansive feature wall is clad in herringbone veneer, creating a library wall with built-in seating benches and display cabinets; veneer clad servery and bar offers up increased hospitality offers.